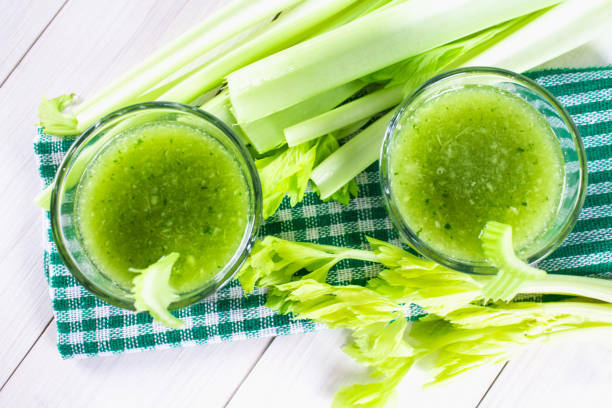 Surprising Health Benefits Of Celery Juice That Will Blow Your Mind brittanny There's no reason not to try the latest celery juice trend! Find out here why celery juice is quickly gaining popularity. Juicing is probably one of the latest crazes at the moment. From moon milk to matcha lattes, bright green drinks have always been a hot topic on social media. As to no surprise why celery juice is quickly gaining popularity. Admit it; you wouldn’t say celery when someone asked you about ‘what is the first healthy vegetable that comes to your mind?’. For some, the most likely vegetable that will spring in their minds is probably spinach, kale, just to name a few. Celery is often left forgotten at the back of the healthiest vegetable list. It’s sad, but it’s true. But did you know it offers countless health benefits that we’re sure you haven’t thought about at all! If you have never considered celery as some sort of juice, then don’t worry. You’re not alone. Nobody had looked at the celery and think about it as ‘celery juice’—well, not until today. So, if you want to be part of the latest trend then what are you waiting for? Go get yourself a juicer and grab a bunch of vegetables from the local supermarket near you. As we’ve mentioned earlier, celery comes with numerous nutritional benefits. There’s no reason not to try the latest celery juice trend! For today’s health and fitness write-up, our experts have listed the surprising health benefits of celery juice. Now let’s see why this juice is great for you. Celery is known for its ability to regulate fat metabolism. If you wish to lose weight, you might want to consider this nutrient-rich vegetable as a part of your diet. All this makes the celery ideal for weight loss! Not only that, but it is also rich in fibre that guarantees you with proper digestion. Here’s a tip: To help you make feel full for a period of time, adding a cup of celery to your meal will do the magic. 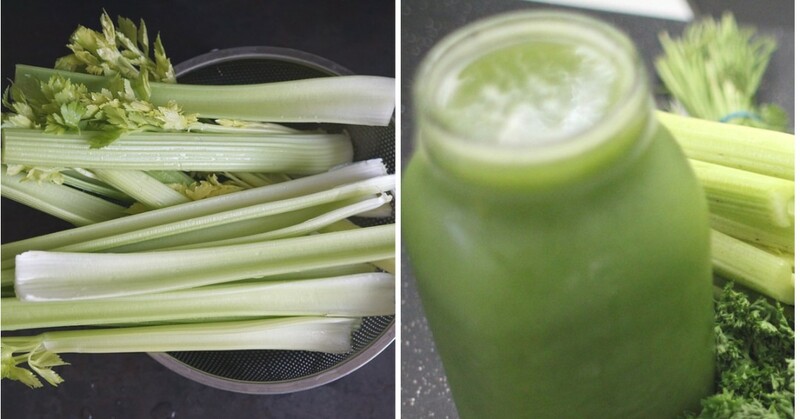 If you’re experiencing inflammation, take advantage of that big green stick of celery in your fridge! Did you know that drinking one glass of celery juice a day can reduce the risk of osteoporosis? 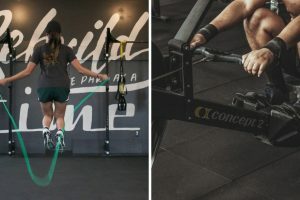 Not only that, but it can also help reduce the chances of encountering inflammation in the muscles, tendons and other parts of the body. 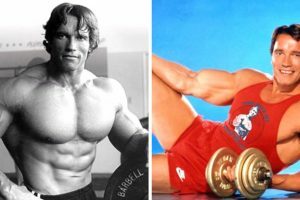 It is perfect juice if you exercise a lot as well. In addition, it turns out that celery is not only necessary for our body minerals and vitamins. To tell you the truth, it has other essential components, and they are called phytonutrients. Phytonutrients are the chemicals found in most of the plants. They act as the protectors from such various threats. With this, celery contains potent phytonutrients such as flavonoids, phenolic acids and flavones. As much as possible, people are trying their best to prevent the risk of high levels of cholesterols. Having high levels of cholesterol increases the risk of heart attack. 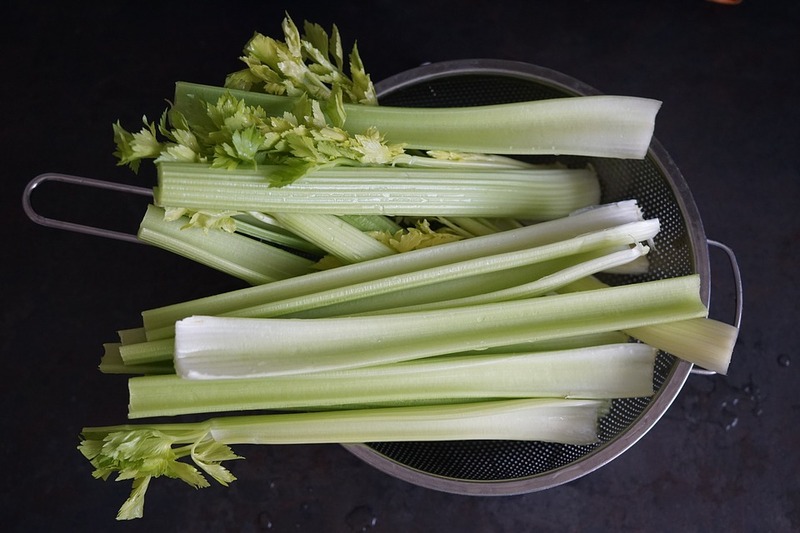 So, how can celery help you lower your cholesterol level? A unique compound has been found in celery—it is called 3-n-butylphthalide, and it has been proven as lipid-lowering property. 3-n-butylphthalide has a positive effect on blood pressure which acts as a diuretic. It helps to reduce the volume of the fluids, and it also relaxes the arteries. With that being said, it reduces the resistance of blood flow. Through a study, the rats were given the said vegetable extract as part of their high-fat diet as they had lower levels of lipids low concentration of triglyceride in their blood. Besides, a phytonutrient known as phthalides helps to relax the smooth muscles around the blood vessels which also leads to low blood pressure. One of the remarkable benefits of drinking celery juice is it helps fight cancer. One of its exceptional ability is it contains abundant antioxidants, and you don’t lose any of these when you juice it. As we have mentioned before, celery is rich in flavonoids in which have anti-inflammatory properties. In fact, some of them are linked to cancer prevention. Celery also contains apigenin, and it’s a flavonoid that has shown some anti-cancer effects. Not only that, but it is also proven that it has the potential of treating breast cancer. Celery isn’t the only option here, but it is way higher in these nutrients when compared to the other vegetables that are out there.